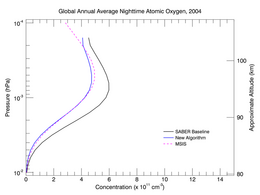 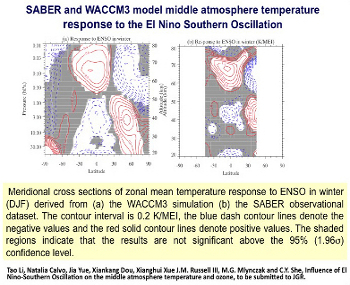 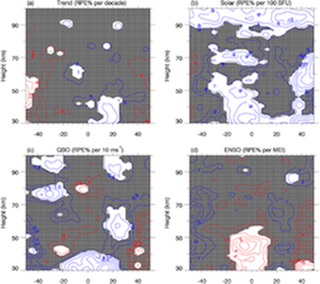 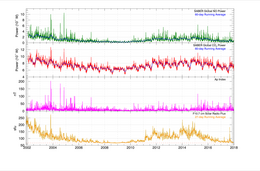 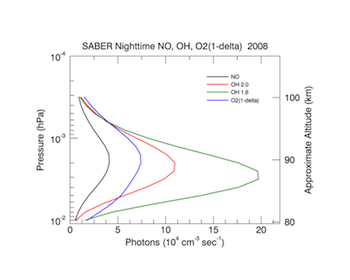 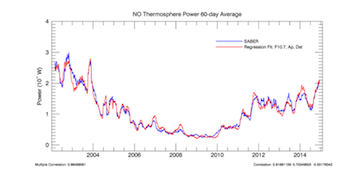 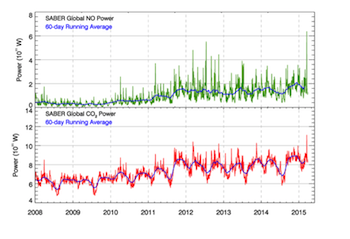 The Sounding of the Atmosphere using Broadband Emission Radiometry (SABER) instrument is one of four instruments on NASA's TIMED (Thermosphere Ionosphere Mesosphere Energetics Dynamics) satellite. 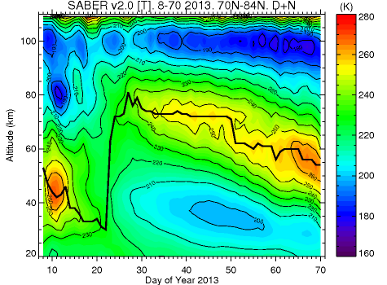 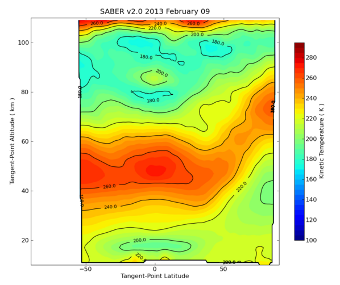 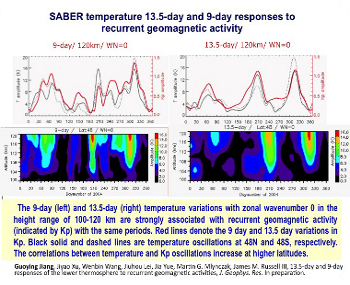 The primary goal of the SABER experiment is to provide the data needed to advance our understanding of the fundamental processes governing the energetics, chemistry, dynamics, and transport in the mesosphere and lower thermosphere. 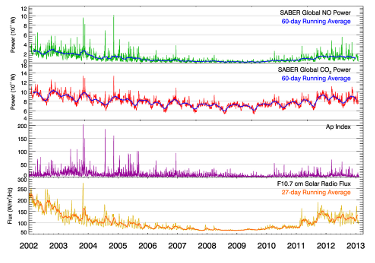 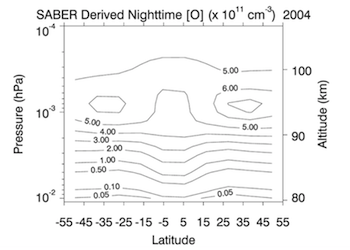 SABER accomplishes this with global measurements of the atmosphere using a 10-channel broadband limb-scanning infrared radiometer covering the spectral range from 1.27 µm to 17 µm. 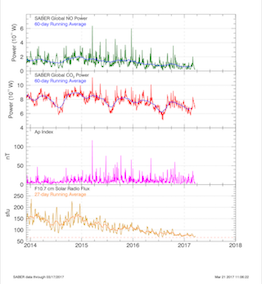 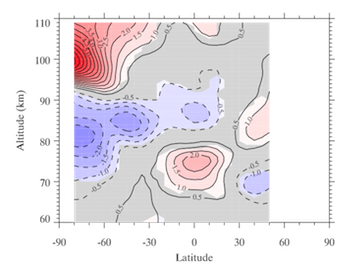 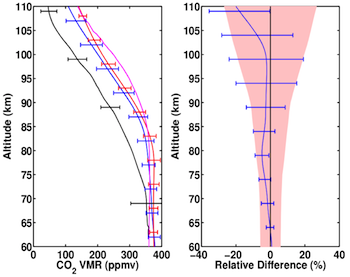 These measurements are used to provide vertical profiles of kinetic temperature, pressure, geopotential height, volume mixing ratios for the trace species O3, CO2, H2O, [O], and [H], volume emission rates for 5.3 µm NO, 2.1 µm OH, 1.6 µm OH, and 1.27 µm O2(1Δ), cooling and heating rates for many CO2, O3, and O2 bands, and chemical heating rates for 7 important reactions.